When you supply any personal information to www.tobycottage.co.uk we have a legal obligation towards you in the way we use that data. We must collect the information fairly, that is, we must explain to you how we will use it and tell you if we want or pass the information on to anyone else. When using your personal information Toby Cottage Ltd will act in accordance with all current legislation from time to time in place. We will only pass on your details to third parties who may contact you for marketing purposes by post, phone, fax or email, or research agencies. 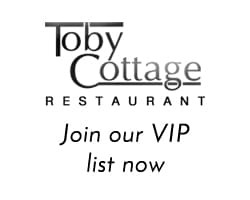 You have a right to request a copy of the personal information that Toby Cottage Ltd holds about you and have any inaccuracies corrected. We reserve the right to make a nominal charge for such for information requests. Any such requests should be made to our email address.